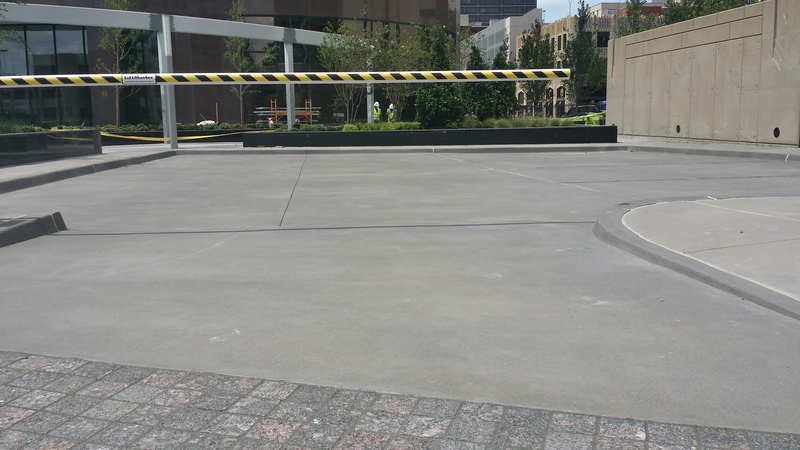 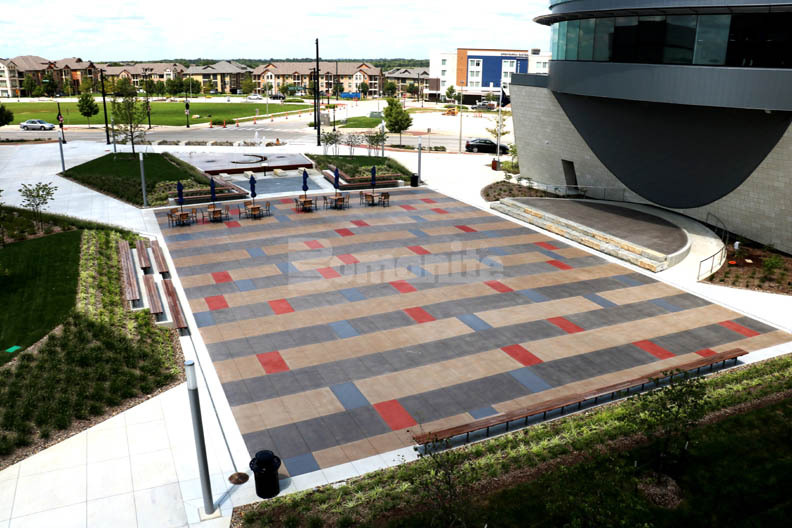 Alaback Design Associates approached Bomanite Licensed contractor Bomanite of Tulsa, Inc. to create a paving option for the ONEOK Plaza redevelopment project. 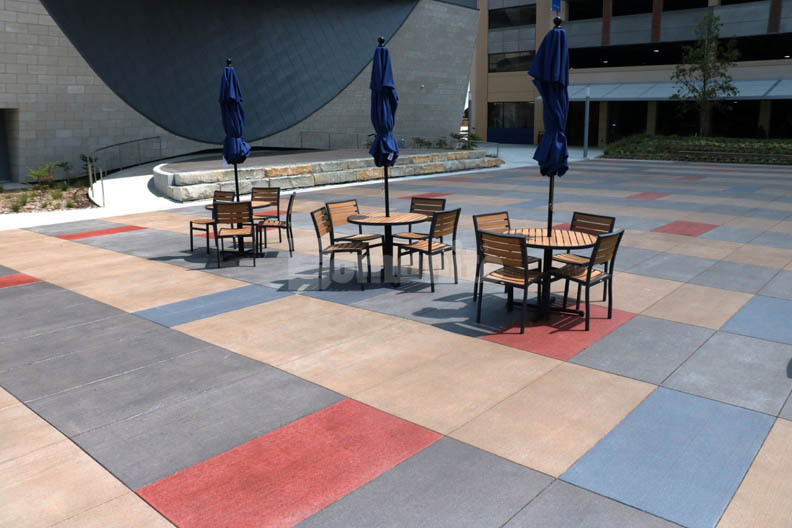 Instead of the usual band-aid repair project, the natural gas company opted for a $4.8 million renovation of Plaza Commons, an area along Sixth Street between Boulder and Cheyenne avenues. 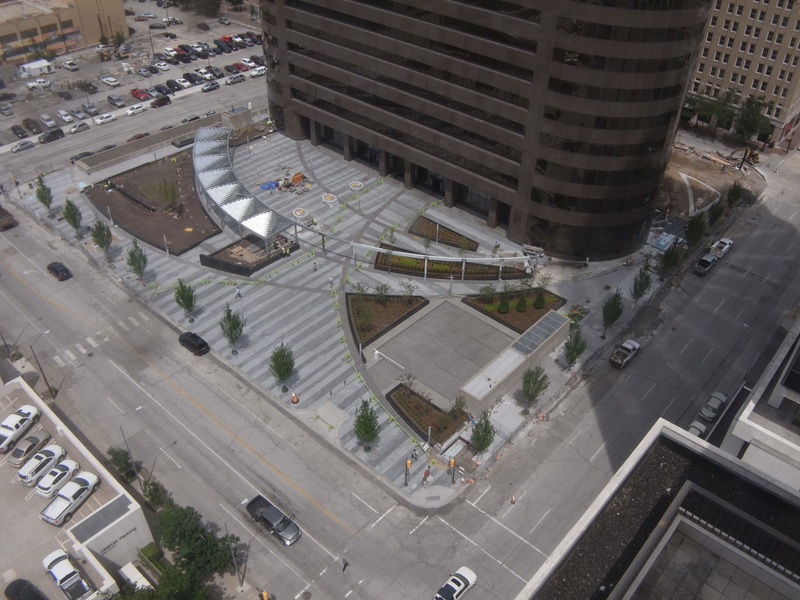 The renovation includes a multipurpose outdoor space, complete with new seating and green-space landscaping for employees and downtown visitors that incorporates a modern feel that complements the revitalization of downtown Tulsa. 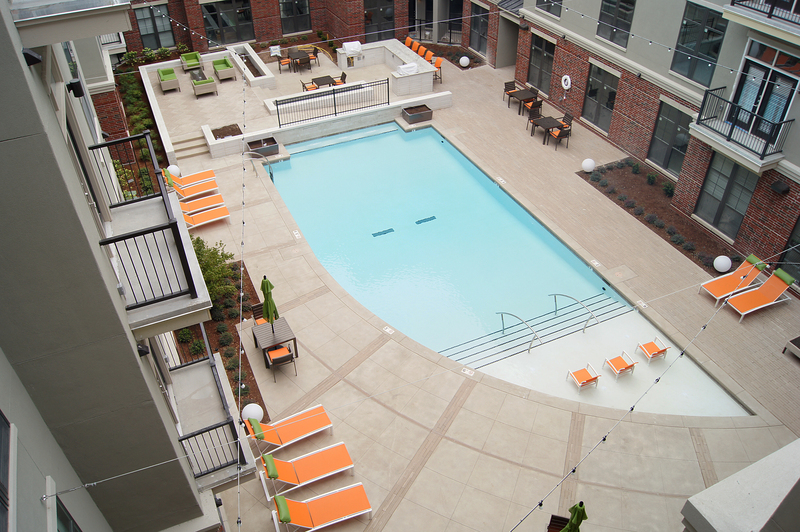 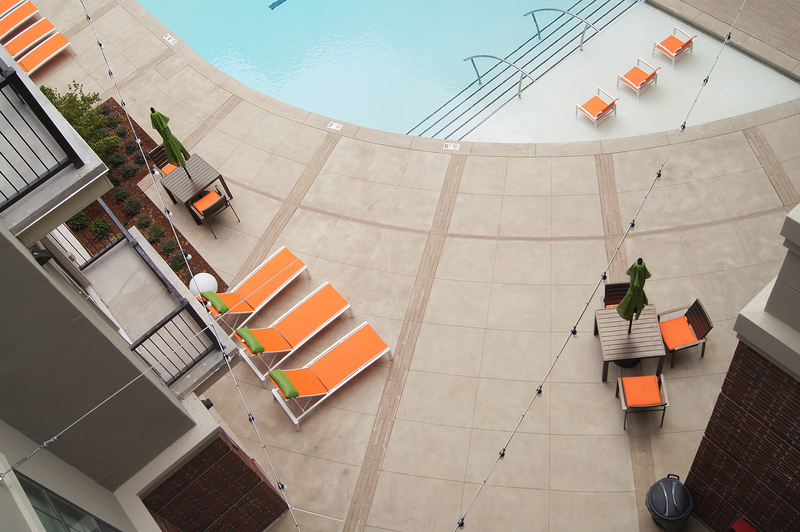 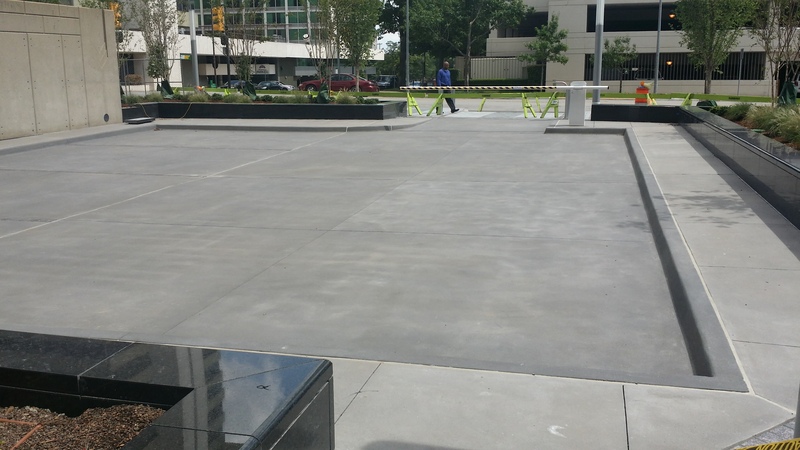 Alaback Design Associates wanted a product to complement the granite pavers being used on the project and after working with Bomanite of Tulsa, Inc. on the choices available, samples produced and colors selected, Bomanite Alloy was chosen as a perfect option for the concrete paving. 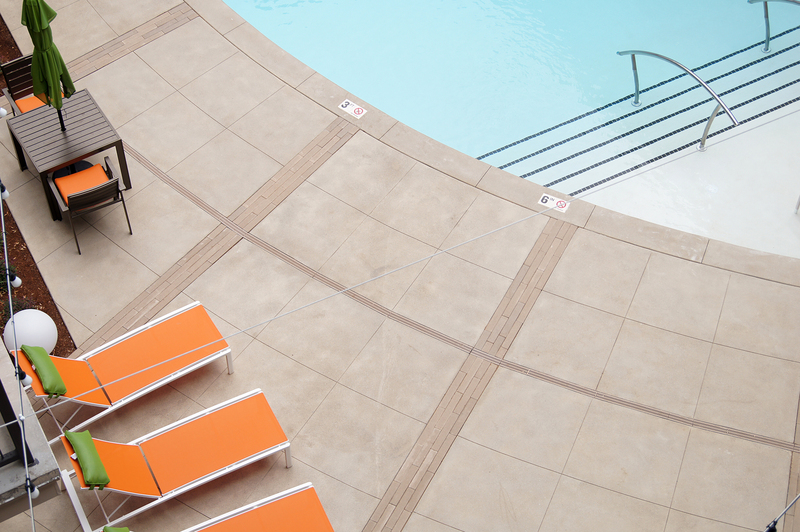 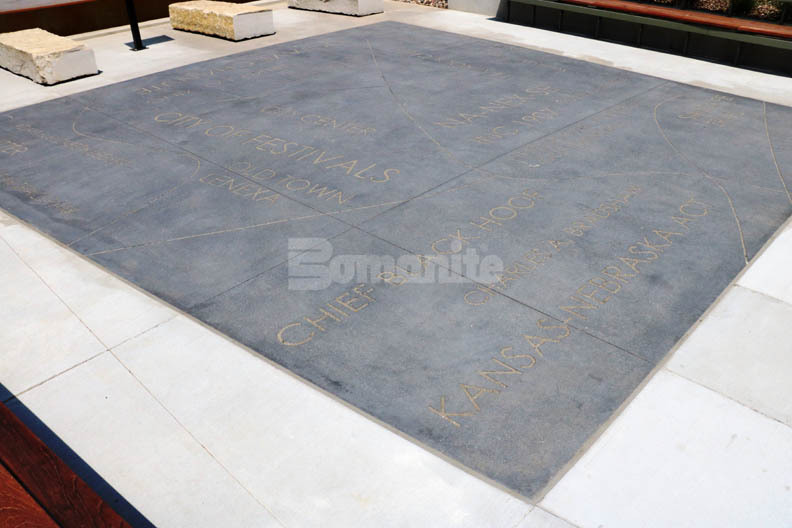 Bomanite Alloy, a Bomanite Exposed Aggregate System, offers a blend of reflective aggregates to create a unique decorative finish for a highly durable monolithic slab. 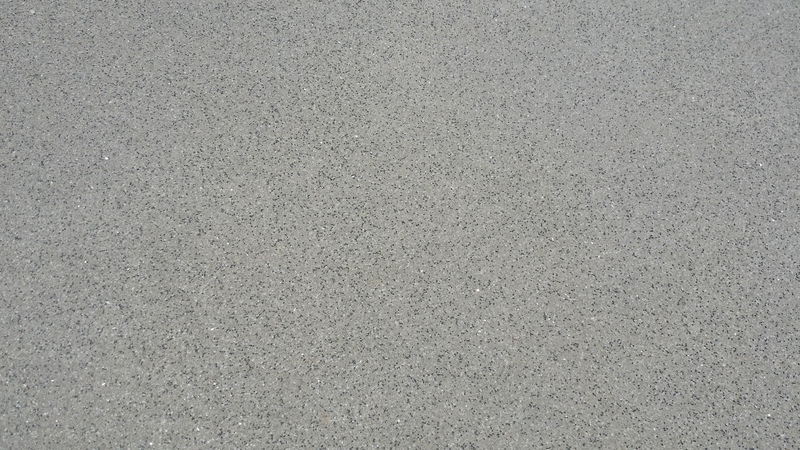 Bomanite Alloy can be placed exterior for use with light to moderate duty vehicular traffic or foot traffic.